La Alteña distillery was created in 1937 by Don Felipe Camarena. He was a visionary man who saw the potential to make a great tequila, up here, in the mineral-rich highlands of Jalisco. Today, his grandson Carlos Camarena is our master distiller. Carlos still honors the traditional way Don Felipe made tequila over 80 years ago. But most importantly, it is the care and dedication of the people at La Alteña that make El Tesoro really special. Our passion and community bond help us make a tequila that we are truly proud of. 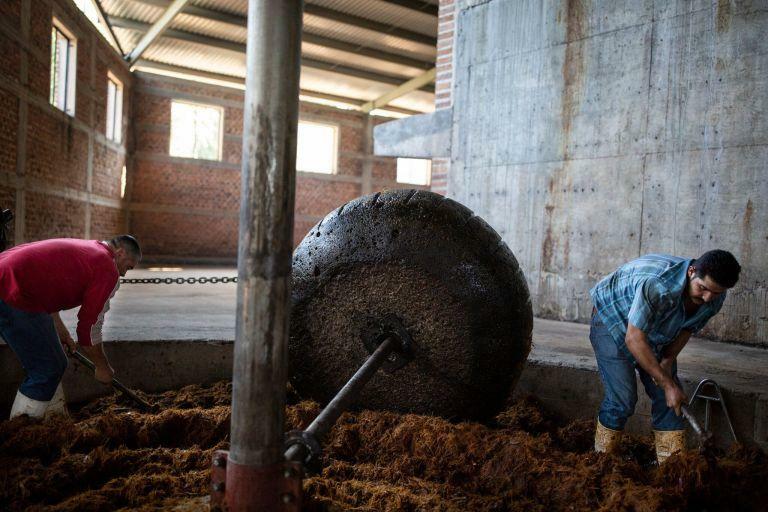 Guillermo Zuñiga Meza is one of eight brothers who work at the La Alteña distillery. Members of his family, including his father, work in the fields and man the agave trucks. Guillermo and his team work together to chop the agave piña hearts, load the ovens and maneuver our two-ton tahona stone. These are skills that Guillermo learned from his brothers. He particularly enjoys working the tahona to crush the agave fibers.